Consistently Produced a Steady Stream of 2 to 4lb 'Bows! 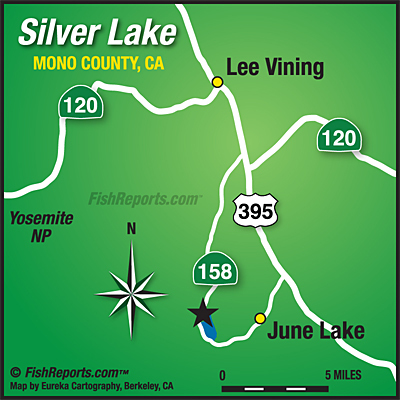 Silver Lake Resort (760)648-7525. The resort has been bringing in loads of the "Oregonians" going all the way back to last August with more due in the next week. Hence, Silver has consistently produced a steady stream of 2 to 4lb 'Bows all season along with resident Browns and an occasional Cutthroat.